Family Classics is a focus on family traditions and culture and how food is the main ingredient that brings people together. Each submission will feature a family recipe that started and/or continues that special legacy and tradition in your family. This website gives you the opportunity to submit your recipe, share your family story, along with pictures that celebrate the legacy of your family. We want to showcase stories of families who embrace the joy of cooking and the traditions , culture and history of your family. Let us feature the person in their family who makes this classic family dish. “I’m interested in the family stories, heritage, and traditions around food”. Tell me “why this dish is always served at birthdays, holidays or whatever special occasion that brings your family together.” Join me and let’s feature your Aunt/Grandmother, etc., as we share your recipe, get to know your family and celebrate the food that brings us lasting memories. Ann Cuiellette is a native of New Orleans and grew up in a large, Creole family – the twelfth of thirteen children. “I loved being in the kitchen with my mother and I absorbed all her passion for cooking”. All of the dishes in my Cookbook, “Classic Creole – A Celebration of Food & Family”, are family recipes but each include a story about my experience with that dish growing up in a household filled with love, energy, camaraderie, sometimes chaos, but most of all great food! It’s a cookbook and a storybook. After the devastation of Hurricane Katrina, I wanted to find a way to honor my family heritage, especially since she I had siblings who lost their homes in this tragedy. “This book reflects my family story and our traditions, I hope you enjoy these recipes as much as I do”. Ann received a bachelor’s degree in business from Webster University in St. Louis and started her journey into the business world. 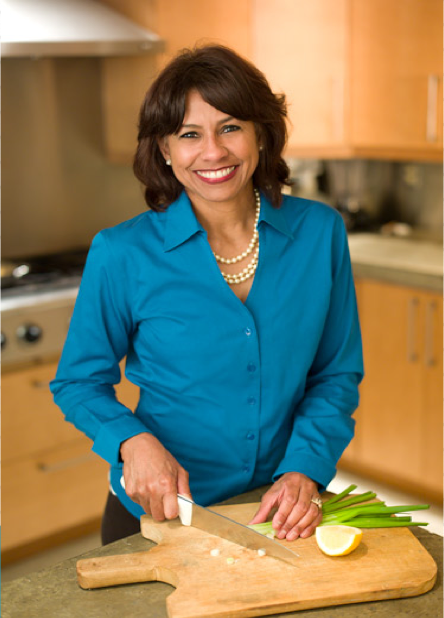 Ann is currently a successful human resources executive, but she continues to have a lifelong passion for cooking. Ann and her husband, Craig have two daughters, Eve & Mia.